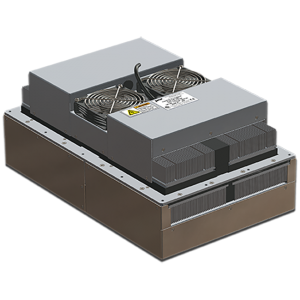 As thermoelectric enclosure cooler performance ratings have grown, there has been an increase of demand for thermoelectric cooling in applications requiring precise thermal control and maintenance. TECA is now offering a new series of Precise Temperature Control air conditioners (PCS Series thermoelectric air conditioners). A built-in TC-5300 PWM temperature controller enables our new PCS products to cool and heat as needed. An air sensing, precision three wire 100 ohm platinum RTD and a USB communications port is standard on this series. Included is tecaLOG software, allowing for the end user to monitor temperature, adjust the set point, and tune the controller to enclosure specific requirements. Three mounting styles means flexibility of choice for the end user. 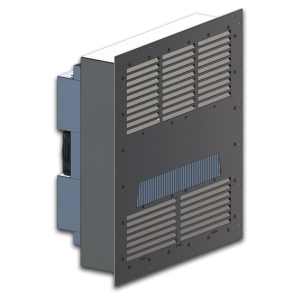 The PCS series enclosure coolers are of through mounted, flush mounted or internally mounted design. Cooling capacities to 3,410 BTU/HR are available in this series as is NEMA-12 and NEMA-4 configurations. When installed properly, TECA enclosure coolers create a closed loop system with no exchange of ambient air. Thermoelectric technology is reliable and virtually maintenance free.